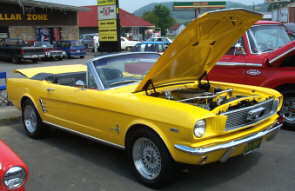 The First Annual Tellico Plains Car Show shifted into gear on Saturday, Sept. 2. 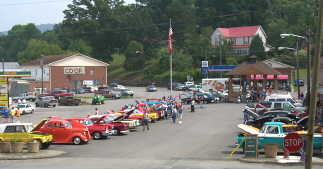 A good turn out and good weather was in store for the classic cars parked on Tellico Plains historic Town Square. 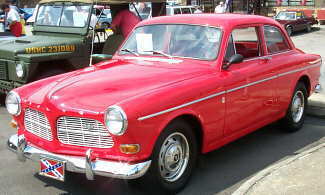 The show had 49 cars and 2 motorcycles on display competing for plaques and trophies. 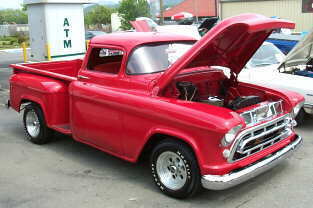 It was a good start for the Tellico Plains Area Chamber's First Annual Car Show. 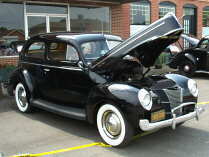 John Feko, Chamber President said, "We are pleased with the turn out for our first car show and think everyone had a good time. It was a learning experience for us and we may change a few things next year, we will probably change the date from Labor Day to a date more suitable for the entrants, a week before or after the holiday." 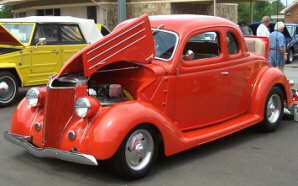 The Best of show went to Mike Akins for his 1962 Chevy Corvette, and the People's Choice went to Tommy Hughes 1934 Ford. Mel Haines, Chamber Vice-President was emcee for the show and instrumental in organizing the event. 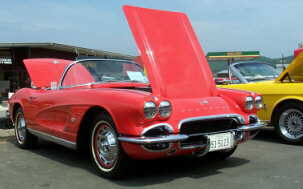 Best Of Show - Mike Akins 1962 Corvette. 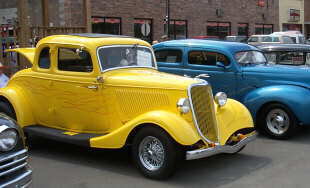 Peoples Choice - Tommy Hughes 1934 Ford.